There are very good reasons for hiring our professional cleaners in London. When you use an agency you are getting an established base of knowledge and expertise that you can always call upon to help you out. We employ professional cleaners that we know and trust. We train them to our high standards. So not only are you getting trustworthy staff with a good back-up that you can rely on, you are getting expert help. They clean every day all day. They will do it better than you do. This leaves you to concentrate on what you are good at. They know how to clean both domestic properties and office spaces. They know the best products. They are thorough and they focus on the details – the plug sockets, the light switches, the skirting boards in the corners. They will empty the hoover bag. They will do the job right. You will also know that you are not breaking any laws. 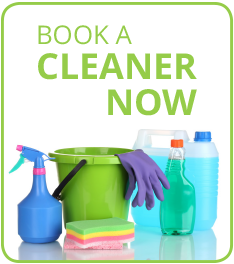 All our professional cleaners are checked, referenced and working legally. They are contributing to the economy in England. They are not undermining the system but working within it. To give yourself peace of mind and to get the best give us a call. We have more than 20 years’ reliable professional cleaning experience servicing London homes, and more than 500 happy customers. We believe in providing best quality reliable professional cleaning staff in London to help you inside and outside your home, whether on a one-off or contracted basis.